Writing your own food blog is a little like being put in charge of a glossy magazine, with unlimited funds and the boss on a perpetual holiday. 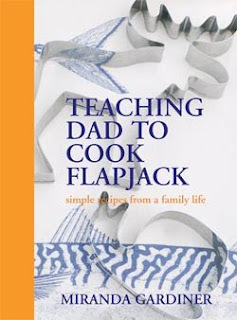 The scope for online wittering is endless, so I'll start with a bit of out of character self-promotion for my new book, Teaching Dad to Cook Flapjack, which is published on 1 May 2010. This book has formed itself over the last few years after the death of my mother. It is part food memoir, from my cooking days at Keith Floyd's and Bar Contessa in Sydney, to the food of my Cornish and newer Finnish family, and part self-help manual for my dad, learning to cook in his sixties.